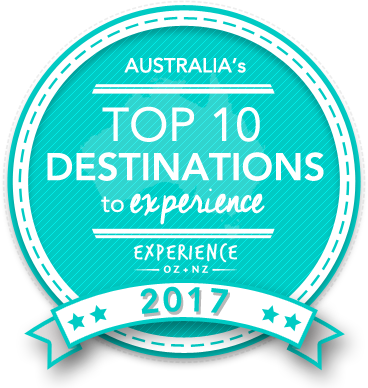 Vote forYarra Valley, VICTop Regional Destinations Which are Australia's must-visit destinations? You help us decide. In terms of raw culinary indulgence, few regions in Australia do it quite as well as Victoria's Yarra Valley. Situated less than an hour away from Melbourne, the capital of Victoria, this is a region that pays proper homage to wine with cellar doors, and cheese and dairy producers surrounded by postcard-perfect scenery. This mildly cool part of Victoria features a pleasant intermingling of food and wine, scenery and activities, and as a result the Yarra Valley is one of the most popular adult getaway destinations from Melbourne. All of this is, of course, owned in large part to the quality of its wines, and the Yarra boasts an increasingly growing reputation worldwide for its outstanding bottled produce. The region is home to the bases of a number of Australia's most famous wine producers including famed brands De Bortoli, Domaine Chandon and Yering Station, and with a huge number of smaller and boutique producers, visitors will be spoiled for choice here. Wine isn't the only star for the palate in the Yarra Valley, however – the region also boasts a number of brewers that produce high-end beers and ciders each offering their own distinctive spin on the technique and flavouring process. Food also makes a strong showing here, and the Yarra is rich in restaurants both in terms of sheer quantity as well as quality that take the raw ingredients for which the region is famed – think salmon, caviar, gourmet cheeses and more – and put them in the hands of expert craftsmen to produce some truly tantalising dishes. Of course, feeding your mouth with various delights isn't all a Top Destination requires, and the Yarra Valley delivers in other aspects as well. It's a panoramic, scenic region due to its many low-lying valleys and rolling fields of vineyards that extend in every direction, and this scenery couples with strikingly fresh air and clear skies to make for one of Australia's most popular hot air ballooning destinations as well. Those looking for a more intimate and up-close experience of this scenery can don their helmet and hop on a bike and embark on one of the available wine trails to soak up the mountain-dotted backdrop, picking and choosing where to stop and indulge along the way. It's an excellent way to soak up the Yarra's panorama while also burning off some of those calories from any accidental over-indulging! Other leisure activities and attractions such as golf, relaxation spas and wildlife offerings round out the Yarra's menu, and as such there's plenty to spice up a relaxation-dominated holiday. The Yarra Valley is a pure, verdant and escapist region with a laid-back pace that makes for an ideal break from urban life. Couple this with perhaps Australia's best wine lineup and it's potential pampering at its finest. Looking to pay a visit to the Yarra Valley but not sure what to do? Here are some of the most essential experiences. Need more info on the Yarra Valley? Check out our detailed travel features on this top spot below. Is the Yarra Valley Australia's Top Regional Destination to Experience for 2017? Vote now for the chance to WIN an epic trip to one of Australia's top destinations!